Specific Project Outcome: Advocacy for a policy to ban the provision and/or sale of sugar-sweetened beverages (SSBs) in and around schools in Barbados. 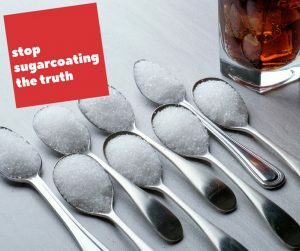 A strong social media campaign was launched around the “Stop Sugar Coating the Truth” theme, which speaks to the issue of sugar sweetened beverages, while also acting as a call to action urging audiences to learn the facts about childhood obesity. An ‘Advocacy Hub’ has been developed on the HSFB website. Content related to the ‘Stop Sugarcoating the Truth’ campaign is housed within this space. Health promotional materials warning about the dangers of excess sugar consumption and encouraging increased water intake were developed and used throughout project activities including Health Promoting Schools and Public Lectures. A variety of communication channels including press releases, public service announcements (PSA’s) and e-mail blasts were used to share COP messaging. Media buy-in was acquired and Capital Media HD 99.3, Slam 101.1 and Y 103 ran a series of public service announcements, click to play the PSA’s below. See the HSFB Email Blast here. Interviews with Policy Champions Prof. Anne St. John and Mr. David Neilands were instrumental in further engagement with the cause. Several schools were identified as model schools including: Reynold Weekes due to its health promoting activities such as the Legacy Health Club and The Ursuline Convent due to its stance to partially ban SSBs within the schools. The Albert Cecil Graham Development Centre also agreed to participate in the campaign. Daniel has attended the HSFB YUTE Gym, a childhood obesity prevention and rehabilitation programme, since its inception in 2015. In recognition of his leadership and support to younger children in the programme Daniel was awarded the title of Mentor in February 2018. In March 2018 Daniel was recommended by the HSFB as a potential Youth Advocate to attend the World Health Assembly in Geneva. Daniel was supported by the HSFB during the process and he was selected. Daniel attended the World Health Assembly in May 2018 and the event is featured on the Healthy Caribbean Coalition website here. Daniel has also supported the HSFB in public activities to create healthier school environments in Barbados and was interviewed as part of this project. The HSFB has worked with Ms. Ashley Lashley in association with her charity, The Schools Against Non-Communicable Diseases Charity Fun Walk for approximately one year. Ashley has agreed to be a Youth Advocate for this project and has supported the HSFB in public activities to advocate for healthier school environments in Barbados. Ashley was interviewed as part of this project to highlight the perspective of the younger generation on a proposed SSB in schools and the epidemic of childhood obesity in Barbados. 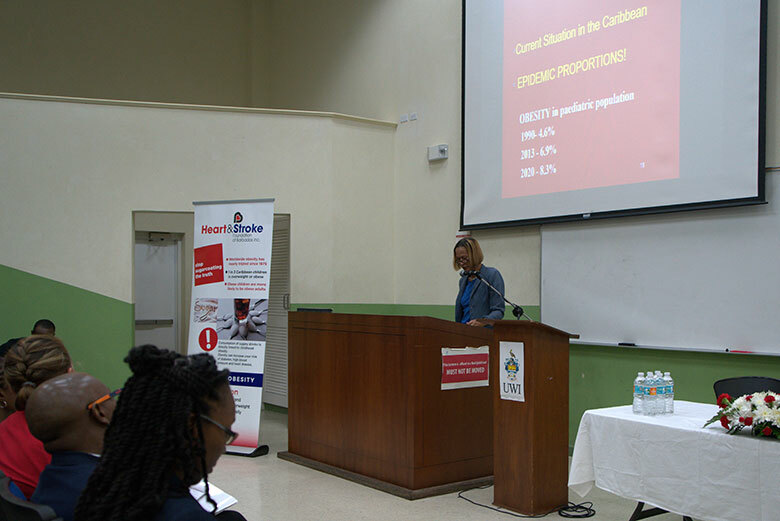 HSFB held a Public Lecture on Childhood Obesity. Presenters included Prof. Anne St. John, Dr. Alison Bernard and Ms. Abigail Clarke and was hosted in collaboration with the HCC and the Breastfeeding and Child Nutrition Foundation (BCNF). Individual meetings were held with the President of the Diabetes Association of Barbados, the President of the BCNF and the clinical Director of the Barbados Diabetes Foundation. 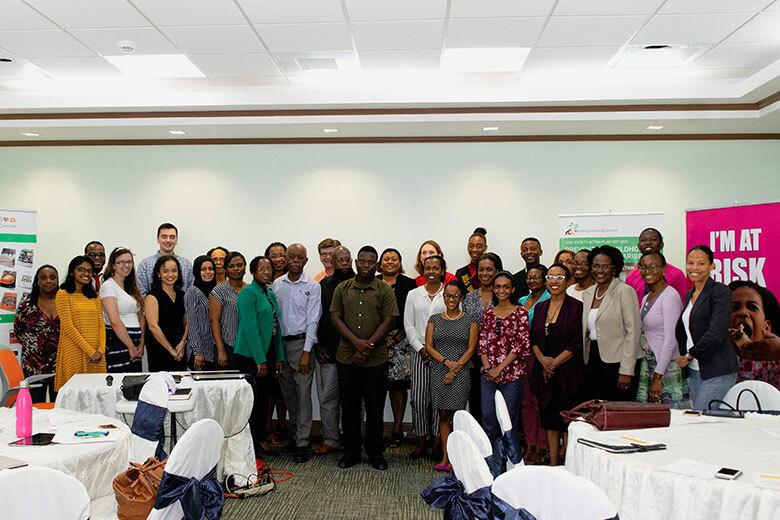 On July 20th 2018 the HSFB in collaboration with the Healthy Caribbean Coalition and the Breast Feeding and Child Nutrition Foundation hosted a National Civil Society Workshop on Childhood Obesity. The outputs from the workshop included the formation of a National Coalition for Childhood Obesity Prevention. 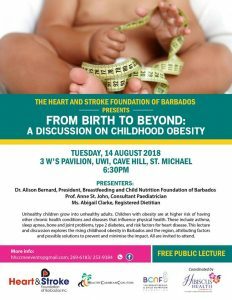 The Heart & Stroke Foundation of Barbados hosted a Public Lecture on Tuesday August 14th 2018 with the aim to educate the general public on the incidence of childhood obesity, the factors that can contribute to childhood obesity from birth through to adolescence, the dangers associated with the consumption of sugar sweetened beverages and also highlight practical measure that can be implemented to improve the health of our children. The Heart and Stroke Foundation of Barbados (HSFB) and the The Breastfeeding and Child Nutrition Foundation of Barbados (BCNF) partnered with the Healthy Caribbean Coalition (HCC) on Friday July 20th to bring together a diverse group of stakeholders to explore the formation of a national coalition to advocate for policies aimed at reducing childhood overweight and obesity. 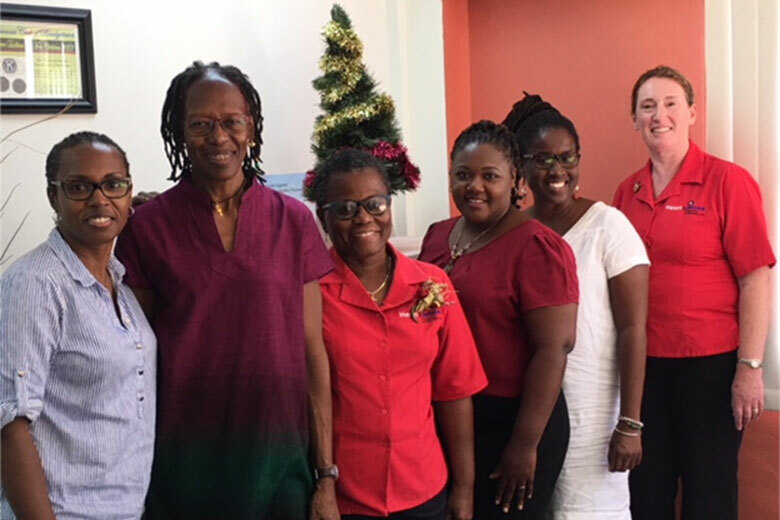 The CDB grant funded CSO capacity building workshop for both Breastfeeding and Child Nutrition Foundation Barbados (BCNF) and the Heart & Stroke Foundation of Barbados (HSFB) participants took place 11-13 December 2017 in Bridgetown, Barbados.